Available online and in our retail store for only $10.00! Click the button below to Order Yours! Are you going to be attending Paws in the Park this year? If so, click here and tell us your name, dog's name, dog's former name, the month & year he/she was adopted and any brief message you would like posted. If you have a current picture, attach that too! "When the economy is tight and resources are scarce, people sometimes are forced to make difficult decisions about caring for their pets," says Shirley Moore, President of Save A Dog. "We have seen an increase in the number of local dogs turned in due to financial hardship and want to help prevent a pet from losing their loving home because their owners are struggling with finances. Therefore, we launched a Meals-on-Wheels-for-Pets program that would benefit pet owners who are suffering financially due to limited income or job loss." Our goal is to provide dog and cat food for the pets BEFORE their owners reach a situation that would cause relinquishment of the pet. This program is for those in our community who have lost a job or means of income. The program will include seniors who are eligible for, or typically receive, meals-on-wheels and we have reached out to the local Councils on Aging to offer our help. Many seniors are feeling the pinch of rising health care costs and most are reluctant to ask for help. These seniors are also prone to feed their own meals-on-wheels to their pets so we want to offer them a high quality pet food that will ensure their pet is getting a nutritious meal. Many seniors live alone with only their pets to keep them company. They depend upon these animals for their mental and emotional well-being (as do those who have suffered the loss of a job). Relieving these pet owners of the financial burden of pet food supports a happier, healthier environment for both the owner and their pet. This program provides a service that is not currently available in this area. If you know of a pet owner in need, please email us at meals@saveadog.org and if you would like to make a donation to this program, please click on the link below or mail a check to Save A Dog with Meals-on-Wheels in the memo portion of the check. 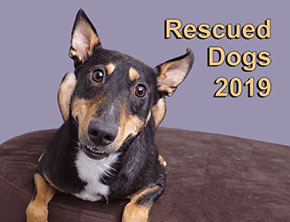 Save A Dog, Inc. is a Massachusetts-based humane society whose focus is abandoned dogs. We take in local dogs of all breeds, sizes, and shapes who have become homeless for one reason or another. 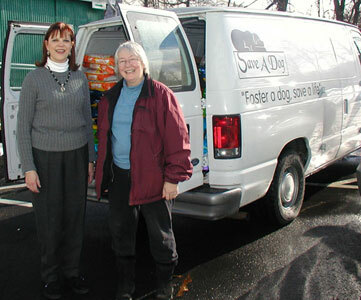 We work with animal shelters in MA as well as out of state. With over 8.6 million pets being euthanized each year, we try to maximize the number of dogs we can save at once, so we work with several high volume shelters and humane societies in rural parts of the south and in WV where dogs die in large numbers. Save A Dog incorporated as a 501c3 nonprofit in 1999 and we were the first dog rescue group in the Boston Metrowest area to bring in dogs from states that have an over-population problem. We have used foster homes and now have a shelter in which to house and show our rescued dogs. We try to make the best match for applicant and dog. We developed a health protocol and quarantined our dogs long before it was state-mandated. To date we have rescued and adopted over 4,300 dogs. We will not turn down special needs dogs and gone to great lengths to save the lives of those who are truly in need. If we are going to bring in dogs from out of state, we choose a mix of adult dogs slated for euthanasia as well as adolescent dogs who were abandoned when they outgrew their cuteness. We love working with people who want to "save a dog" instead of going to a breeder or pet shop to buy a dog. With such a national crisis, we educate our community to adopt, not buy. We counsel our adopters on how to care for the new dog or pup and we offer puppy kindergarten classes as well as obedience for all our adopters. We send our rescued dogs home with an adoption contract that ensures the dog will never again end up in a shelter again. We spay and neuter the dogs prior to placement. Our dogs are up to date on vaccinations, but we don't over-vaccinate as we know that this can lead to immune deficiency problems and we will educate our adoption community about that. We use holistic care and homeopathy as our primary medical protocol. We use positive reinforcement training for our dogs and we require that adopters obedience train their dog using positive methods. We are privately funded via donations. We charge an adoption fee, but it is not enough to cover our operating expenses, so we hold several fund raisers per year to stay afloat and keep the dog rescue work going. If you would like to meet our rescued dogs, please fill out an application or come to one of our local Meet and Greet events, listed on the Events page. Also, if you fill out an application, you can make a private appointment to see the dogs. Are you spending a fortune on vet bills? 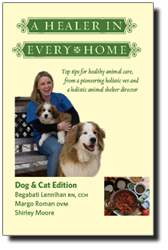 Here's a book that is chock-full of tips on how to use natural methods to treat your pet — while saving you from those extra vet visits. Click here for more information and to purchase your copy of this important book! Do your everyday shopping on the internet and automatically donate a portion of those purchases to help save more dogs. When you shop through these companies, a percentage of your purchase will be donated to Save A Dog. Meet The Volunteers | On Line Shopping | Info For Dog Owners | Pet Humor | Rescues Organizations | Local Shelters | Giving Up A Dog?